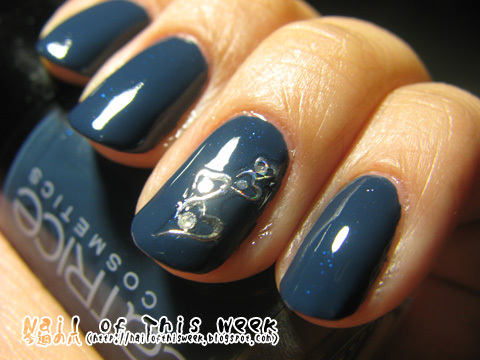 #010: Smoky indigo “denim” blue : Nail of This Week. In the real life, this looks like simple denim-color creme polish but it’s not; it contains very subtle fine blue shimmer. When you can recognize the shimmer, it looks pretty; but unfortunately, the shimmer is too subtle and not really visible. I had to take hundred of pics to find one shows this shimmer. Also I might say application was hell. Hell. Formula was really gloppy and final layer went very thick; so even the surface was dried, inside was still soft for long time. Fortunately my top sealer rescued me from this frustration, but…I don’t know why this one have so naughty formula compare to the other Catrice sisters.